Wärtsilä will supply two 50 MW Smart Power Generation plants to energy and services company Centrica in the UK. Each plant is based on five Wärtsilä 34SG engines running on natural gas. The power plants are scheduled to be operational in 2018. Wärtsilä’s scope covers the engineering, procurement and construction (EPC). The order is booked in January, 2017. Centrica was successful in the latest capacity market auction in the UK securing agreements for more than 500MW of new build power facilities. The two gas-fired Smart Power Generation plants will be located at Brigg in North East Lincolnshire and Peterborough in Cambridgeshire. The plants will generate balancing power into the national grid and will together be capable of providing electricity for approximately 100,000 homes in less than two minutes from start to full load. The ability to start rapidly is one of the key reasons why Wärtsilä’s power plant technology was chosen for these sites. The UK has added substantial amounts of intermittent renewable power generation and the power system needs flexible power plants to make sure that the system is kept reliable. Furthermore, the capacity mechanism in the UK allows Centrica to operate fast response gas-fired plant competitively in the balancing market. “Centrica’s decision to go with our technology is a testament to the fact that our Smart Power Generation technology plays a key role in the UK power system. It shows that flexibility is needed and rewarded by the market,” says Bent Iversen, Business Development Manager at Wärtsilä Energy Solutions. 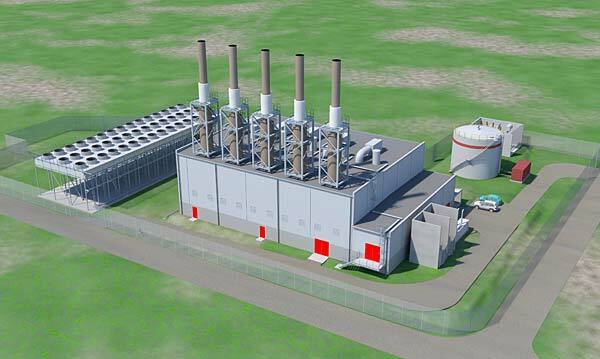 The plants will be the biggest medium-speed engine-based gas power plants in the UK. With these new plants Wärtsilä’s installed capacity in the UK exceeds 250 MW. Adding flexible gas power generation allows the UK to continue adding more renewables to the power system and thus reducing system level emissions. Wärtsilä’s total installed power generation capacity is over 60 GW in 176 countries.